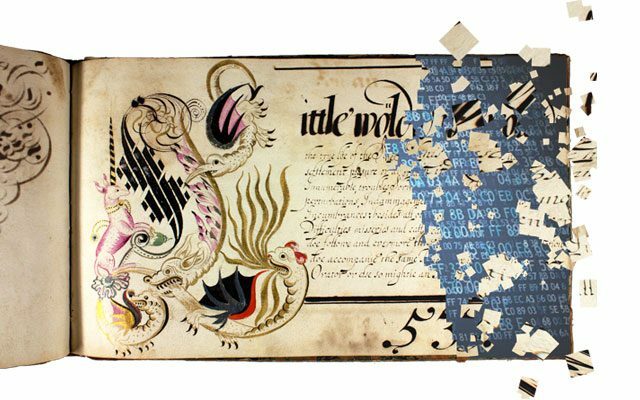 Over the past two decades scholars and librarians have increasingly sought to transform unique manuscript artifacts into accessible digital objects. Efforts to image, transcribe, encode, describe, and link medieval and early modern manuscripts in a digital environment have expanded greatly, evolving from the early days of the Digital Scriptorium to current explorations of IIIF, crowd-sourced transcription, and linked data. Access to early manuscripts via high-quality images remains important, though new emphases on interoperability, collaboration, pedagogy, Web 2.0 and 3.0, electronic editing, and discoverability have shifted our sense of what it means to “digitize” these materials. Curating the pre-digital, in other words, has increasingly involved creating, accessing, and preserving the born-digital. The conference brings together scholars and librarians from several fields to discuss these issues and present their work on manuscript digitization for medieval and early modern studies (ca. 500–1800). The conference blends traditional panel presentations with a hybrid manuscript-digital exhibition and a culminating roundtable discussion. The aim of the conference is for participants and audience members to learn about new and ongoing digital humanities projects focused on early manuscripts (including bound and unbound items, loose manuscript leaves, and handwritten annotations in printed books); to consider some of the technological, scholarly, and pedagogical approaches to manuscripts as digital objects; and to think through pertinent issues such as infrastructure, interoperability, preservation, access, and discoverability. The conference’s five panels and concluding roundtable will articulate digital manuscript studies as a complex research ecosystem comprising individual projects, technological approaches, scholarly methodologies, pedagogical initiatives, and discoverability platforms. Overall, the conference seeks to ask and answer a number of interrelated questions about the present and future of digital manuscript studies. Why do we need digitized manuscripts and how might we improve user access to them? How might collaborative infrastructure, discovery platforms, and linked data make it easier to find, view, and connect digitized manuscripts? How can special collections libraries partner with scholars, students, and the general public to enhance metadata and transcriptions of digitized manuscripts? As the culminating event of the Clark’s project to digitize its early modern English bound manuscripts (funded by the CLIR Digitizing Hidden Collections program), the conference will introduce new resources while fostering collaborative discussion about the future of digital manuscripts. The William Andrews Clark Memorial Library website.